It's been quite a while since we had an edition of "Friday Clippings from the Newsroom Floor" so let's dive right in. The County Clerk’s Office will be open Saturday, Feb. 2 for any voter who wants to hand deliver their ballot to the Clerk’s Office at 1 Civic Plaza, 6th Floor or at the Voting Warehouse at 2400 Broadway SE Building H. The Special Election is an “all-mail ballot” election. There will be no election day polling locations. All completed absentee ballots must be received in the Clerk’s Office, either in person or by mail, no later than 7 p.m. on Feb. 5. Turnout has been robust with over 101,000 ballots cast for a turnout so far of 24% of the registered voters receiving ballots. APS is asking for an increase in property taxes to finance school construction, improve security and other measures. That has sparked plenty of debate. Will a higher turnout mean more opposition or more support for APS? It's worth noting that NM state appropriations to higher ed per student have dropped by over 30% since the 2008 recession.This has been one of the forces driving tuition increases at the state's colleges and universities- costs haven't gone down but tuition revenue has had to increase to make up the difference. Well, not quite a full-fledged cop, but. . . .
APD is holding its next Citizen’s Police Academy starting March 19. APD has 50 openings for the 12-week program that is open to citizens interested in a hand-on education about the training and work of Albuquerque Police. The Citizen’s Police Academy meets every Tuesday and Thursday from 6 to 9 p.m. The program is designed to improve relations between the department and community, while creating opportunities for volunteers to help police. Students receive classroom instruction from APD’s specialized units, including Homicide, Crime Scene Specialists, Narcotics, K-9 and SWAT. People can apply online here. Mayor Keller announced the appointment of Santiago Chávez to the position of Chief of Staff/Deputy Chief Administrative Officer. Chávez will manage and direct the day-to-day operations of the Office of Mayor and Chief Administrative Officer, supervising a number of areas including public affairs, constituent services, strategic initiatives, communications, community engagement, and administrative functions. His appointment is subject to confirmation by City Council. 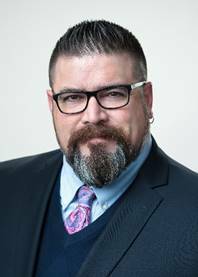 Chávez most recently served as Director of Finance and Administrative Services for the NM Association of Counties. Prior to that, Chávez worked at the New Mexico Finance Authority as an advisor to local governments. Chavez replaces Sunalei Stewart who left City Hall and is now Deputy State Land Commissioner. Santiago looks pretty serious in that picture, doesn’t he? Like he’s ready to fire someone? Under your desks, kids. Here he comes. What will be a defining issue for Roundhouse Democrats and the new Governor came barreling out of the House Education Committee on a 10-4 vote Wednesday, but there is still no clarity on how it will fare when it reaches the Senate, after what is expected to again be easy passage by the full House. 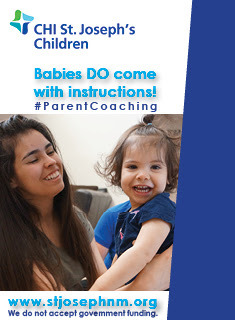 The constitutional amendment would ask voters in 2020 to allow the state to distribute annually one percent of the state's $17 billion Land Grant Permanent School Fund for early childhood education--ages 0-5. It has been the subject of a long, often bitterly fought battle for eight legislative sessions and this one, with a new Democratic Governor at the helm and padded electoral majorities for the Dems, is shaping up as the decisive session. There have been no overt signs that conservative Democrats on the Senate Finance Committee where the amendment has repeatedly died for lack of action are about to change their minds. But with another big Democratic year shaping up in 2020 the opposition Dems have to be more mindful that they could be subjected to serious primary challenges, if they again block the amendment. That's not to mention the risk they take in blocking one of the Governor's prime campaign proposals. There is some real suspense here. What kind of cards will be played? And if the amendment does somehow manage to get out of Senate Finance, it will be Katy bar the door for the opponents. There are enough votes on the floor to pass it and send it to the voters. Stay tuned. The new Congress is settled in so let's take a look at the committee assignments of our two new congressional representatives. For ABQ Democratic Rep. Deb Haaland it's the House Armed Services Committee and Committee on Natural Resources as her prime spots. 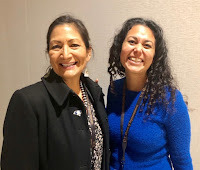 She is joined on House Armed Services by newly elected southern Dem Congresswoman Xochtil Torres Small who has has also been appointed to the House Committee on Homeland Security, which deals with border security and immigration, among other matters. 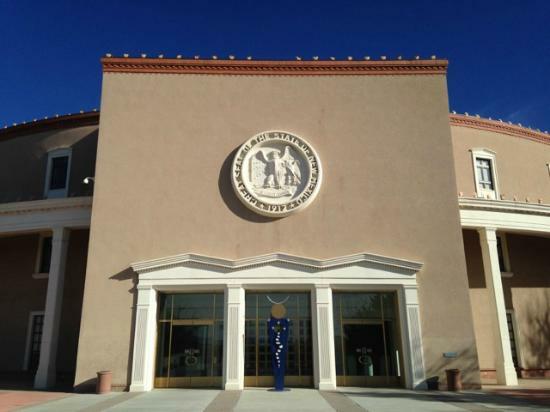 House Armed Services is a traditional slot for New Mexico DC lawmakers. Both Martin Heinrich and Heather Wilson served on the committee when they represented the ABQ House district which is home to Kirtland Air Force Base. 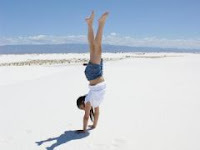 Southern NM also has significant military interests, including White Sands Missile Range. Homeland Security is front and center in the controversy over the southern border, an issue that will again be highlighted when Torres Small seeks re-election in 2020. Her vanquished 2018 opponent, Yvette Herrell, is already campaigning for the seat, long held by the GOP until the Torres Small upset. The Committee on Natural Resources is an old New Mexico favorite, given the wide expanse of public lands that come under federal purview here including the national parks and forests. Haaland will chair a subcommittee dealing with those topics. Haaland won a three way race last November with 59 percent of the vote. The district has leaned decidedly Democratic in recent years. National R's did not contest the seat last year and are not expected to do so in 2020. As we blogged earlier this week, President Trump's aggressive nuclear posture has added jobs and money to Sandia and Los Alamos National Labs. And his administration has also been friendly to military bases. All told there are billions of dollars at stake in federal funding for the military/energy complex in the state. That's why Haaland and Torres Small are headed to Armed Services, even though like Sen. Heinrich who sits on Senate Armed Services, neither have a military record. As they say, that's where the money is. The congressional delegation is all Democratic and predictably very critical of Trump. However, the immense funding that comes in here each year makes them mindful that whoever is in the White House must be dealt with. By the way, northern Dem Congressman Ben Ray Lujan, now the fourth ranking Dem in the US House leadership, will address a joint session of the Legislature in Santa Febtoday. As the dean of the NM US House delegation, it's safe to assume that he has been guiding the two new reps with their committee decisions. Joe, The Los Alamos County Council just appointed a replacement for newly elected Democratic State Representative Christine Chandler. The new appointee is, yes, you guessed right, a Democratic woman. All 7 councilors are Democrats now. One of them was chair of the Los Alamos Republican party 1.5 years ago! Only 15 years ago the council was all Republican. These young people Los Alamos Labs is hiring are making a difference. The R's used to have a lock on Los Alamos because they were perceived as the party more partial to national security funding. No longer. And the R's conservative social values can't be helping with those young people our correspondent mentioned are now on the LANL payroll. 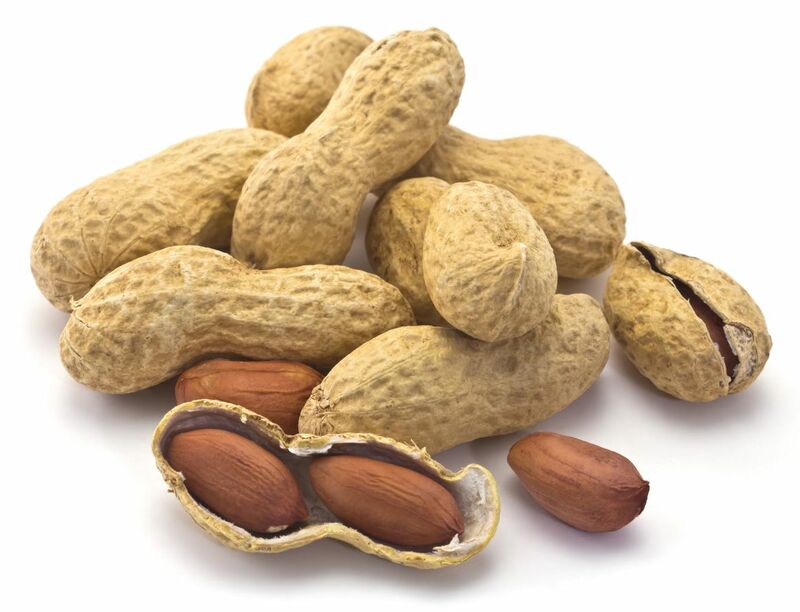 People who live near Sandia High School in Albuquerque believe burglars are leaving peanuts on their property. Joe Slanga believes the peanuts are left behind by the burglars, so they can tell if someone stepped on them and left the house. The home next to Slanga’s was recently burglarized. Police said the thieves took off with thousands of dollars’ worth of family jewels, leaving behind peanuts. Slanga said he's been writing down when he sees peanuts in the neighborhood. He also installed an alarm system after his neighbor’s house was broken into, hoping it will deter the burglars. Thousands in family jewels? Hey, that's not peanuts. Santa Fe isn't an exactly a big idea factory. Take, for example, the problems with the lottery scholarship fund we blogged of Tuesday and concluded that it is time for a new way to provide for our higher ed students. Readers immediately chimed in with transformative ideas like using bonding capacity for the scholarships or using a portion of the state's revenue sharing from Indian gambling--rather than the less robust state lottery--to help fund the scholarships. Others argued that the first order of business needs to be to restore 100 percent scholarships to low-income New Mexicans. Because the lottery problems have been left to stew, only 60 percent of tutition is now funded when it started out at 100 percent. The state doesn't have to end the lottery. It could just stop it from being the prime (and inadequate source) for scholarships for New Mexico high school grads. Is that too big of an idea to fit into the Roundhouse? As for the blog pointing out that legalizing recreational marijuana looks dead in the water this session and that weed advocates might be better off pushing a decriminalization bill, we are hearing nothing of the sort from them. They and the mega-donors to their nonprofits are stuck in the mud. If, as they claim, they are so concerned about minority and poor citizens being arrested for using small amounts marijuana why are they not seeking decriminalization when they know legal weed is dead for now while decriminalizing has a fighting chance? Maybe MLG should give them a push in that direction? Ya think? Three legislative Republicans say they are outraged over what they see as a Sandoval County judge's lenient sentence (3 years out of a possible 30 years) for Christie Noriega, who was found guilty of driving drunk and killing two men on the side of I-25 where they had been changing a tire. They want the judge to resign. Okay, but. . .
Their outrage seems feigned when put into context. Where were these lawmakers when one of their own--ABQ GOP State Rep. Monica Youngblood--was arrested last year for aggravated DWI and seen on video trying to manipulate the arresting officer into letting her off, going as far as to insinuate her political position into the conversation? And where were they when she received only a one day sentence for her crime? And where were they when she was forced back into court because of suspicions by her probation officer that she was diluting her urine and drinking in violation of her probation? Not a peep from the Righteous 3. In fact, not one House or Senate Republican had the intestinal fortitude to speak out on the Youngblood arrest and conviction, choosing instead to hide behind Susana's skirt, who also failed to raise any concern or objection over the arrest of Youngblood--one of her BFF's--despite years of ranting over DWI enforcement. ('18 GOP attorney general candidate Michael Hendricks was the only prominent R to speak to the Youngblood arrest when he urged her to resign her legislative seat. She did not and was defeated in her November re-election bid. The three legislators in question--Reps. Tim Lewis and Jason Harper and Senator Craig Brandt are normally solid solons, and while Youngblood is not charged with killing anyone, the trio appear to be favoring a member of their political and social elite while urging that the judge throw the book at Noriega. If there was no outrage from them over Youngblood's DWI and a call for her resignation, why would the public take seriously their plaintive cries for justice in the Noriega DWI case? Well, they wouldn't. And that's what puts the Righteous Trio on Hypocrisy Watch. Enjoy the stay, fellas. In a first blog draft Tuesday we had ABQ Dem State Rep. Rep. Kiki Saavedra first elected to the state House in 1978. He was first elected in 1976. . . And a wire service report initially reported Saavedra died at age 81, which we Tweeted out. He was 82, confirms his family. Come on, New Mexico. Let's do some thinkin'. 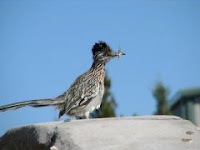 Things you think might happen and perhaps should happen in Santa Fe but are not happening. --Is it time to eliminate the financially troubled state lottery scholarship program? The 22 year old program appears to have been of its time but lagging gambling revenue and higher tuition costs may have made it an anachronism. The scholarships now only cover 60 percent of higher education tuition, down from 100 percent. Can't Santa Fe find a new revenue stream instead of trying to keep this flawed ship afloat? The lottery is handing out about $40 million annually. In the scheme of things that is not onerous. Let's assign this one to the think tank Think New Mexico. Maybe the numbers nerds there can hatch a better deal for the stressed out students and get legislation going. --Legal Mary Jane is a dead duck in the state senate so why don't pro-marijuana backers nudge the process by switching gears and going all in for decriminalizing the weed? That would stop the unfair arrests they claim are being made for small possessions of pot. Decriminalizing also might make for a smoother path later for legalization. This one is assigned to longtime decriminalization backer State Senator Joe Cervantes. Hello, Joe? Get Emily Kaltenbach on the horn. --Rather than raise the royalty rates on the oil industry, which is a sure loser at the Roundhouse, how about if State Land Commissioner Stephanie Garcia Richard instead works on the possibility of getting the major oil companies in the Permian Basin to pay for a portion of badly need road repair and maintenance there? Hundreds of millions of the cash surplus are forecast to go to statewide road repair. Can't Big Oil afford some small change to keep those profits pumping in the SE? Knock, Knock. Stephanie? We keep seeing newspaper references that the turnout in the November election in the state was 698,976 or 55.4 percent. But according to the Secretary of State the actual turnout was 701,654 or 55.61 percent of registered voters. We're unsure why this bothers us. Maybe we're channeling our inner Brian Sanderoff. We left NM, our home of 50+ years, to retire in Colorado. The cost of living here is notably higher than in the Land of Enchantment (LOE). Everything is higher, housing, trades, food, gas, taxes, everything. When we return to the LOE to visit family and friends, we come with long shopping lists and coolers for food. In Colorado there is a bill now going through our legislature to award our Electoral College votes to the winner of the national popular vote. Holding on to the Electoral College is like trying to hold on to straight ticket voting. Maybe for a short while, but the writing is on the wall. It is better for our democracy to listen to the voice of the people. Consider that it might work the opposite of what you think in that New Mexico's votes will matter more and be worth courting because we could become greater than our 5 electoral votes in the larger picture. Have a great day, Joe. Thank you for your most excellent work. The news of the death of former ABQ Dem State Rep. Henry "Kiki" Saavedra was like a bolt out of the blue Monday. Although gone from the Legislature since 2014, he was part of the state's political furniture and you expected to run into him any day at the Barelas Coffee House in the South Valley or one of his other favorite haunts. But Saavedra was afflicted with Alzheimer's and passed at the age of 82. While not much was heard from him in retirement, he cast a long shadow during his tenure in Santa Fe where he served as chairman of the powerful House Appropriations Committee. It takes seniority to get that seat and Kiki had it, first elected in 1976 and launching a 38 year run at the Roundhouse. He was popular, likable and rarely had any serious opposition in his heavy Dem district. Affable, friendly, funny and dapper were some of the adjectives used to remember him Monday. His earlier years in Santa Fe with House Speaker Raymond Sanchez and other members of that posse were probably his happiest. In his later years his chairmanship of Appropriations was marred by the austerity era and the rancor of the new politics. This was a fellow who wanted to bring home the bacon and make a difference but you can't do that without cash. One day after a long series of hearings where everyone and their brother had their hands out, he declared in frustration: "But we don't have the money!" And then it was time to go. 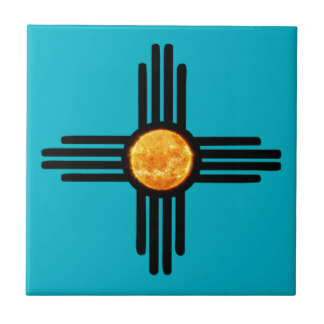 For most of his career New Mexico was a state on the go. The papers were not filled with horror stories of child killings, rampant crime and people leaving. Leaving New Mexico would have been unspeakable to Saavedra's generation, so deep were their feet planted in their native soil. They were the inheritors of a tradition of La Politica dating back hundreds of years. It had its flaws but it worked and so did the state. Today's politics? Not so much. Representative Henry Saavedra served long and served well. Most of all, he cared. That was a pretty good run, Kiki. 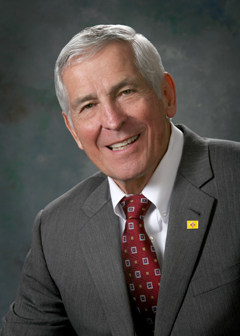 “I was incredibly saddened today to hear of former Representative Saavedra’s passing. I had the good fortune to work with and learn from him for many years and knew him to be deeply devoted to his community. As a veteran, a city employee, and a legislator, he lived his life in service. “He was a treasured leader in the state House, looked up to by new legislators of both parties as a welcoming teacher, and he championed projects like funding New Mexico’s Special Olympics. I especially appreciated his warmth, fairness, and delightful sense of humor. He was a gentleman through and through, and the Legislature is a better place because of him. Fed Influence on NM Economy Grows; Diversify To What? Plus: All Is Not Well In Animas, And: Don't Call Them "Troopers"
--President Trump is one of the least popular politicos in big Bernalillo County but his aggressive posture on the national nuclear arsenal is creating hundreds of new jobs at Sandia National Labs and putting serious change into the pockets of a multitude of small businesses and their employees that depend on the labs for their livelihood. --Sandia reports that in budget '18 it spent over $317 million with small businesses and that its employment has climbed to 12,769. About 11,500 of those jobs are in ABQ and the remainder in California. --Los Alamos National Labs reports employment continues its steady climb after a slowdown earlier in the decade, when there were LAN layoffs. It employed 11,743 in '18 and had a budget of $2.7 billion. Sandia's budget is now over $3.2 billion and growing. 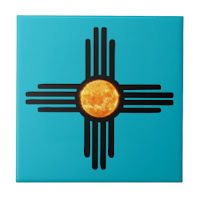 --NM is now a permanently flat-lined state, with no population growth in the last decade and very little on the horizon. Diversifying the economy is now way down the ladder on the list of priorities. 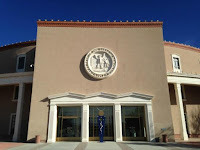 --The top priorities that Santa Fe seems to finally be catching on to with the advent of a new administration are to finally resolve the educational and behavioral health crises that plague the state and keep it ranked near 50th in just about everything. --Start taking a bite out of those urgent matters and perhaps in ten years or so you can take serious conversations about diversification and significant business growth, well, seriously. --The ABQ Mayor also seems to understand the new paradigm. He was glad to help snag big spender Netflix for the metro but the cornerstone of his economic plan is to nurture local businesses. That's because landing the whales is more elusive than ever since ABQ and NM are unable to compete with the 21st century Millennial hotspots of Austin, Denver etc. --The "diversification" that would satisfy many in the crowd is to somehow have less of the federal spending tied to nuclear weapons. 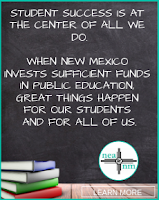 Can NM's congressional delegation do more in that regard? Meanwhile, those federal budgets aren't going away (as they haven't for over 70 years). They provide a foundation of economy stability as New Mexico attempts to dig itself out of a deep hole generations in the making and exacerbated so profoundly in the last ten. Residents in (Animas), a remote ranching town in southern New Mexico complain they’ve been forgotten and left out as Washington and Santa Fe debate border issues. . . Animas business owner and rancher Tricia Elbrock wants more border security. In 2015, drug smugglers kidnapped one of her employees near the border. She and other ranchers in New Mexico’s Bootheel say they need a border wall and more security as the region, long a drug smuggling corridor, has also become a hot spot for guides leading large groups of Central American migrants to Antelope Wells. On a recent visit to the border MLG asserted that here was no "crisis" there as President Trump has argued, but it seems to depend on what part of the order you are focused on. If the Central American migrants continue to cross into Animas and Antelope Wells this will likely become a national story with attention paid to actions from the state. And then there's Senators Udall and Heinrich. Where's the plan? Let's go in the weeds with the Legislative Finance Committee newsletter which finds. . .
New Mexico’s 66,725 active medical cannabis patients in November was a nearly 50 percent increase from the count a year ago, and the number of personal production licenses, 7,563, was a 16 percent increase from the prior year. However, the total number of cannabis plants in production was down 5.2 percent. The price was stable at $9.98 per gram. As for the Legislature legalizing recreation majority during this year's session, the prospect continues to look dim. Joe, I greatly appreciate your blog and read it daily. I was reading today about the alleged affair of Governor Martinez. The article states that she had an alleged affair with her “Trooper” bodyguard. 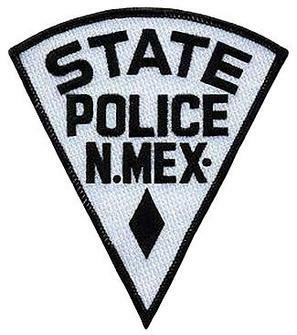 New Mexico State Police officers are not troopers. In fact, the only troopers in New Mexico are members of the New Mexico Mounted Patrol, and all-volunteer law enforcement agency created by Governor Miles and the state legislature in 1941. New Mexico and California are the only two states that do not have troopers as part of their Department of Public Safety. As Deputy Chief of the South for New Mexico Mounted Patrol, I wanted to provide this correction as I’m very proud of our status as troopers, our history, and the service we have provided the local, county, and state law enforcement agencies for 78 years. I did not know that, Kevin. Guess my gringo roots are showing. I grew up in Pennsylvania where the state police there are known as state troopers.